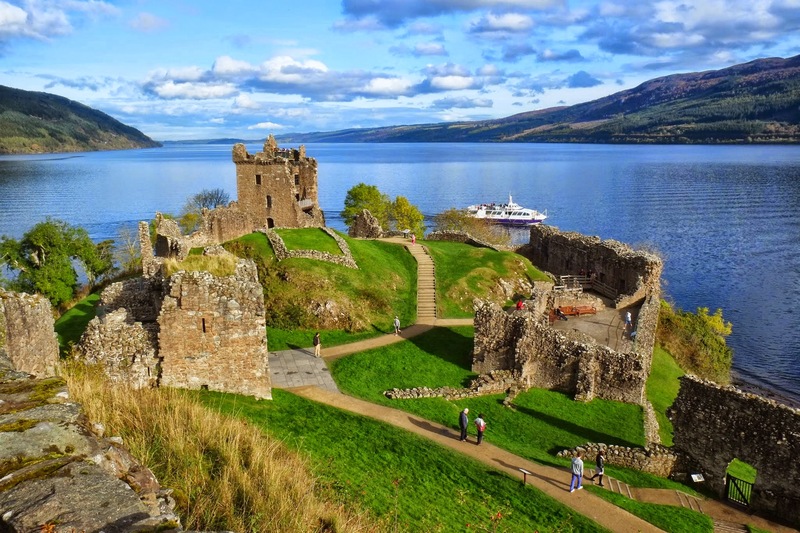 Oh Scotland, Land of Castles. Castles that are old estate homes. And castle ruins by the sea. 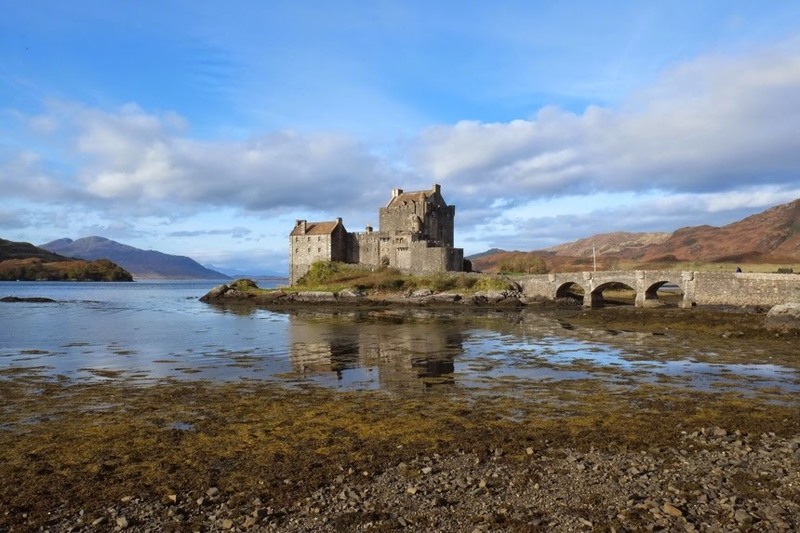 Today I’m sharing a collection of photos of castles in Scotland. 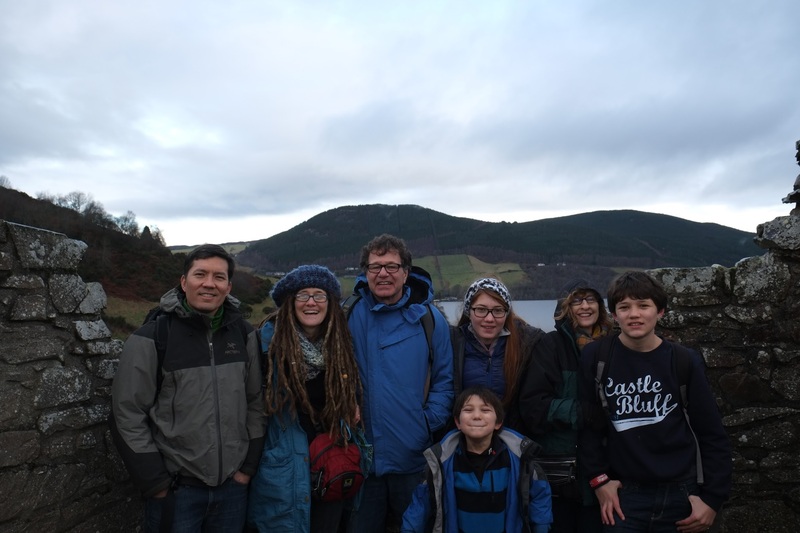 Like Dunnottar in Stonehaven, there are a few castles we return to with friends again and again because of their proximity to Aberdeen. 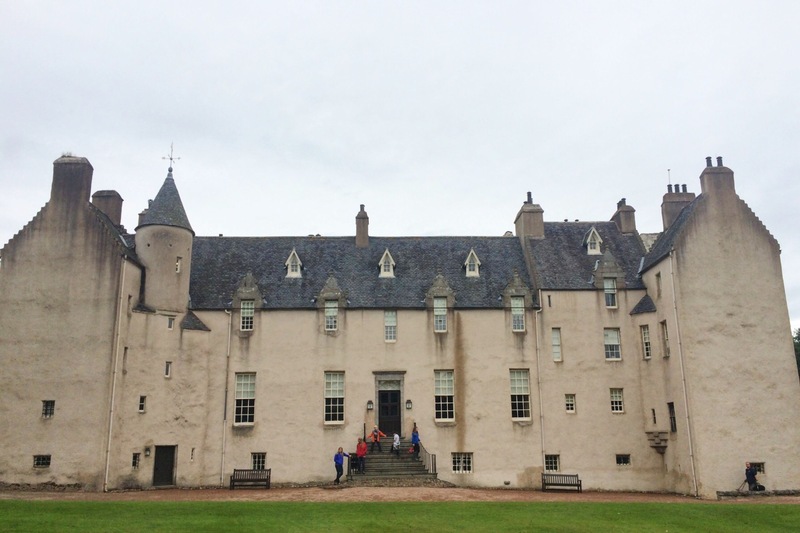 Crathes Castle is probably the one we have been to most often. There’s a four mile walk in the woods, there are gorgeous gardens to explore and you can even enjoy the treetops via a ropes course. 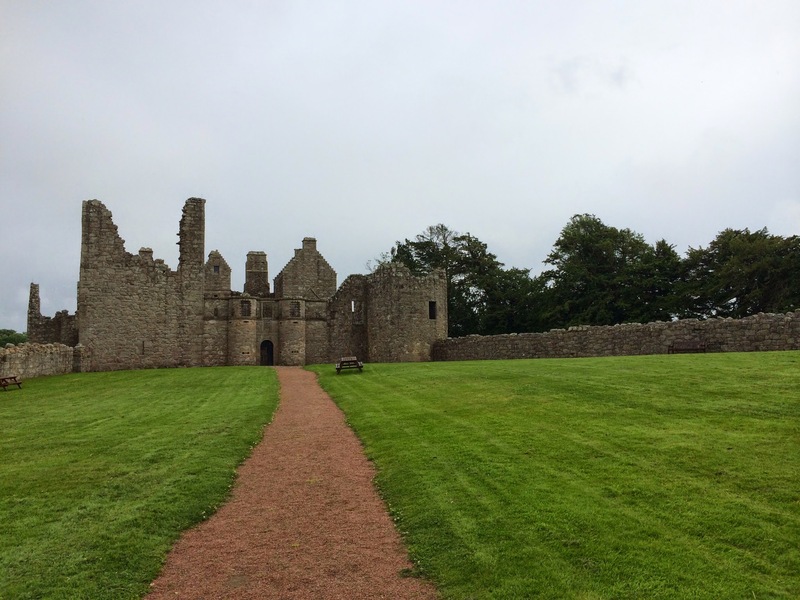 Drum Castle is nearby Crathes and also has great walks and a superb playground for little ones. There is also a small chapel (where you sometimes see a wedding!) and a grove of trees that are excellent for climbing! 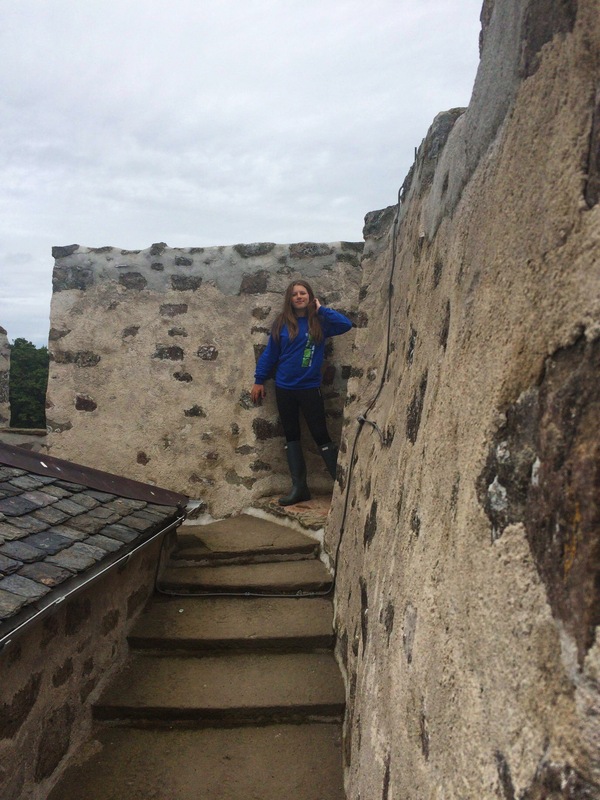 We love Drum because you can get on top of the castle tower. You can also enjoy the tower views from Castle Fraser, although sometimes they are covered in mist. Fraser is another frequent favorite for walks and gardens and tea in the old castle kitchen. 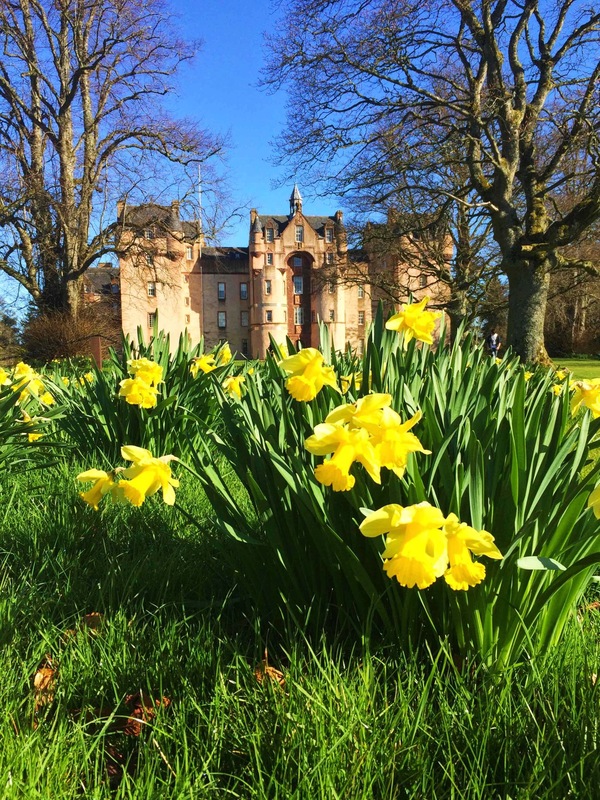 The walk leading up to Castle Fraser is lined in trees and in the spring the daffodils turn the whole field yellow. Craigievar Castle is a little further from Aberdeen but it’s a beautiful drive and is surrounded by pine forest that is worth a walk through. Fyvie Castle is one of the most impressive estate homes and it’s not too far from Old Meldrum so it can be combined with a distillery tour at Glen Garioch. I love Fyvie Castle in the springtime especially. Take in the daffodils and a nearby walk around a lake. 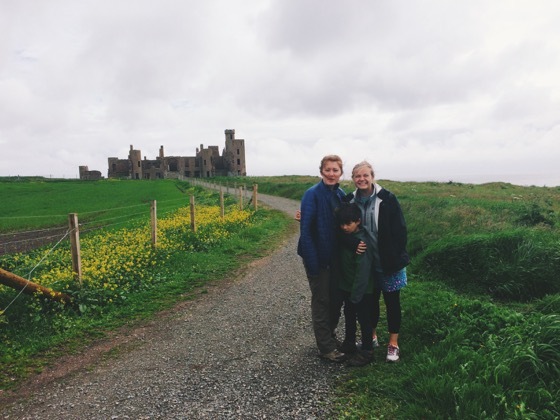 Of course Dunnottar is our favorite castle ruin, but we have a few others we love to go back to. Auchindoun Castle is near Dufftown so I usually combine a trip there with a visit to nearby Glenfiddich Distillery. You park along the road and walk about a mile to Auchindoun, sometimes passing Highland Coos in the fields on the way. And you can let the kids play at this nearly-always deserted ruin to their hearts content. I’m pretty sure we’ve taken all our cousins to this castle now! 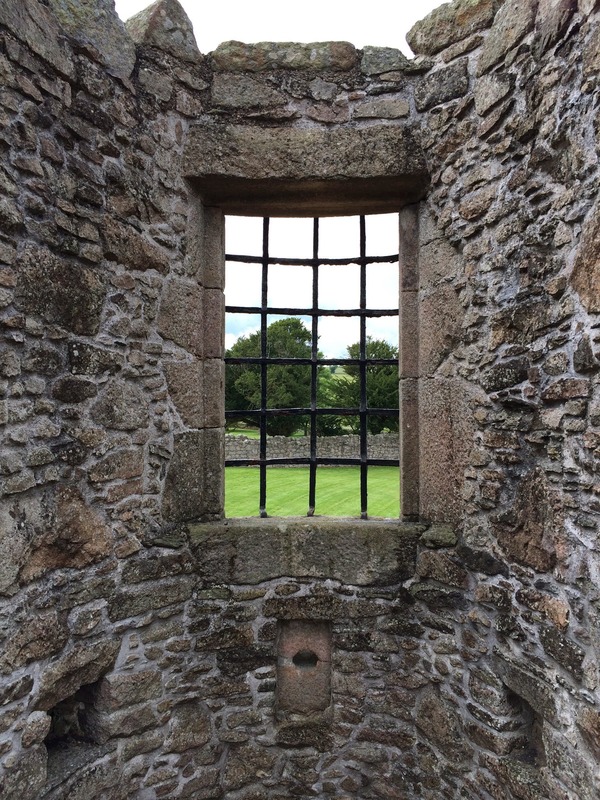 Right next to Glenfiddich is another castle ruin that is not always open, but if it is, Balvenie Castle is another fun one to roam. There are almost always Highland Coos next to this castle, so it’s worth a wander even if the castle is closed. 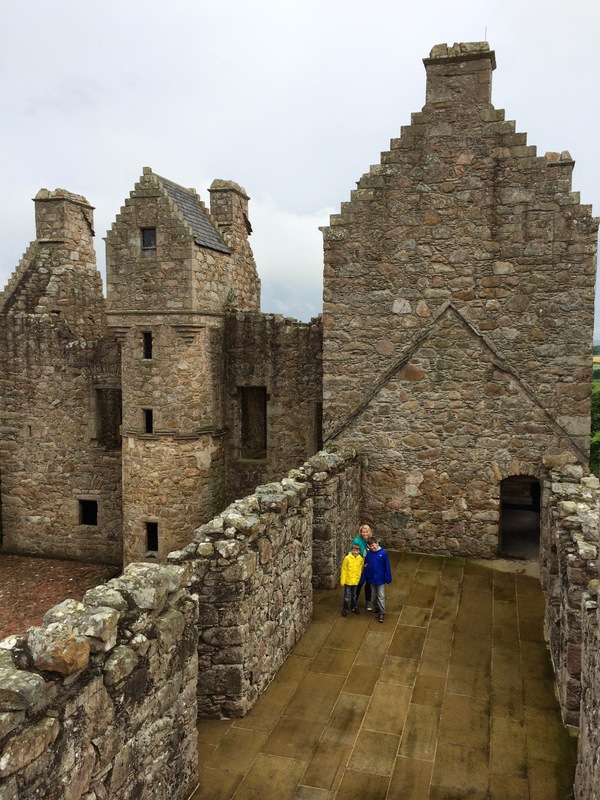 A castle ruin, a distillery tour and seeing Highland Coos are three must-have experiences for tours in Scotland, so it’s nice to be able to check all three off the list here in Dufftown. Another fun ruin near Aberdeen is Tolquhon Castle. The walls and towers are almost all restored for climbing and exploring. It’s one of the best places for hide and seek in all of Aberdeenshire! 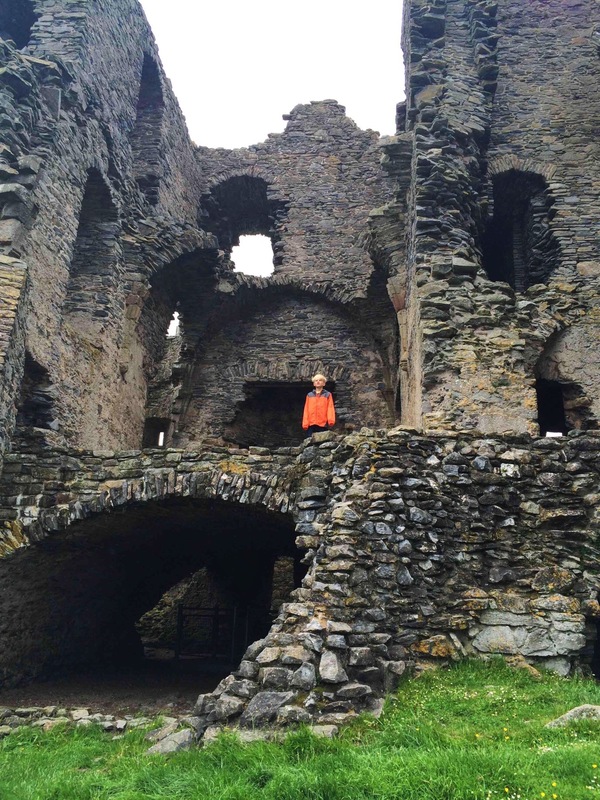 All our kids (and kid visitors) prefer the castle ruins to touring the estate homes because they are free to roam and touch whatever they like. One more favorite ruin is New Slain’s Castle near Cruden Bay, which also happens to be my favorite coastal walk in Scotland. A collection of coastal walks near Aberdeen might be my next blog post. Castle visits will forever remain in my memory as a huge part of our life in Aberdeen! I hope the kids will treasure all these tours of towers and turrets as well!